It officially went down! 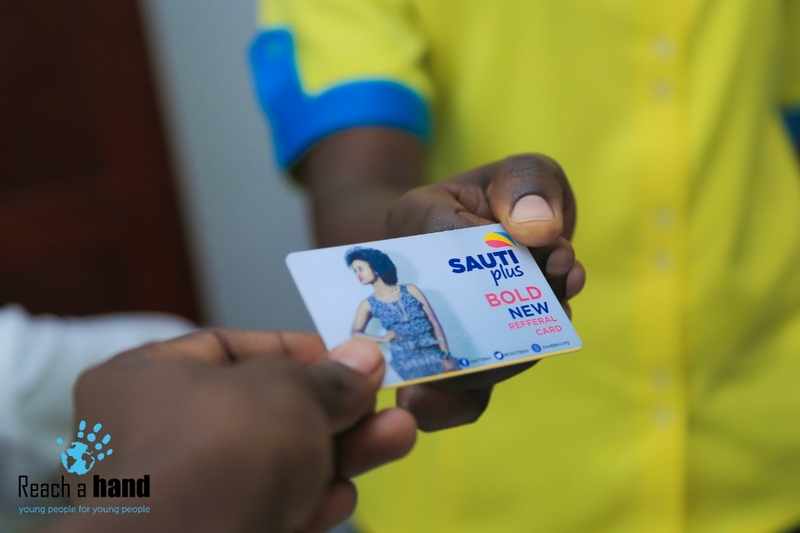 The Sautiplus referral system and Sautiplus card were introduced to 9 health centres i.e Ihunga health centre IV, Nyaruhandagazi health centre II, Nyakabare health centre II, Nyabikungu health centre II, Itojo health centre II, Kinoni health centre IV, and Bugamba health centre IV in the sub counties of Rugando and Bugamba in Mbarara district. 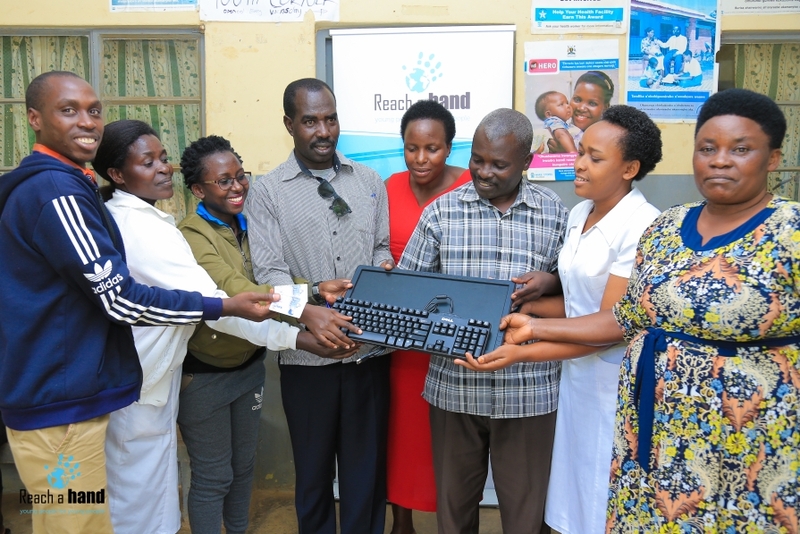 These lucky centres were equipped with solar panels and computers and the personnel there were trained on how they will use this system to assist youth seeking SRH services and information instead of using the old referral forms. The introduction of the Sautiplus referral system in these sub counties is to create a way through which young people who have sexual reproductive health (SRH) problems can be assisted without them going through the worries of telling health workers directly what affects them. Through this, the well trained peer educators carry SRH information and act as a link between health workers and their peers at health centres and transition of the SRH information. They were also given phones which will be used to communicate and send information to health centres their peers who are reached out to over SRH. 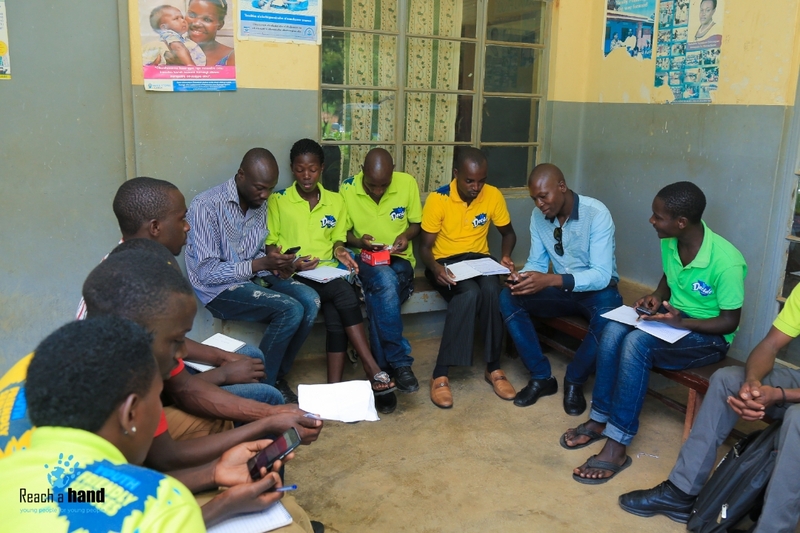 With the great anticipation for the introduction of the Sautiplus referral card, peer educators in the sub counties of Rugando and Bugamba were trained and made conversant with the new referral system so they can in turn guide their peers on their use. Originally, they referred their peers to health centers through the use of referral forms. “In order to encourage young people to come to health centres to seek SRH services and information, we introduced modern and relatable ways of connecting to these youth.” Emma Fokushaba, team leader for peer educators, Mbarara district said, “Youth find it easier to talk to fellow young people without feeling shame and stigmatised for seeking SRH services and information instead of older health workers.” he added. Youth complained about the difficulty they face in talking to health workers and older people about their SRH challenges. They complained that some health workers are rude and very judgmental. So fearing the stigma of seeking these services from health centres, most youth stay silent with their problems or confide in their fellow peers. “In this region, you find a 15 year old girl pregnant but she can not go for antenatal care because of how she will be judged. Similar cases have seen some girls try to remove pregnancies with cassava stems,” Allan Twesigomwe, In charge at Kinoni Health Centre exclaimed. Mr. Kitatari Arthur Maani, chairman LCII, Bugamba sub county commented that they as parents have lost some of their children to HIV/AIDS and some infected with STIs because they lacked enough information to make informed choices and seek these SRH services that would have saved their lives. 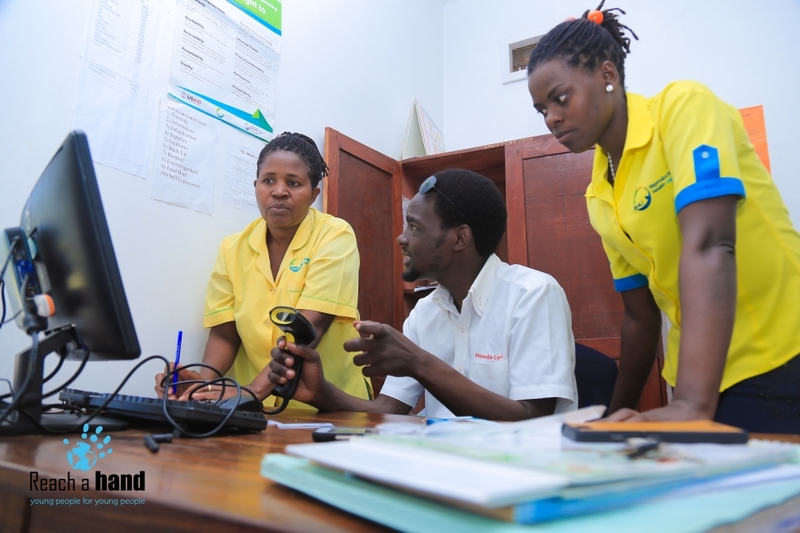 The Sautiplus referral system was seen as an important tool to reach out to youth who are able to tell their problems to peer educators who enter this information in the phone and give the respective youth a card which he takes to hospital and it is scanned and the information obtained on the issues being raised. The health worker in this case is able to work on the youth without asking them what issues they are having since this information has already been provided. “I am so glad this kind of system exists for the youth of today. In my days, we had no one to talk to us about sexual reproductive health. I am glad i am alive to see this kind of revolution.” Ayebazibwe Herbert, farmer Bugamba sub county. “We need the cooperation of government because most of these centres still lack very many services and equipment that is needed to serve our young people. We need to work together to make sure these systems work and where government falls short, we as organisations can stand in and help.” Denis Mugambagye, Reproductive Health Uganda commented.